Lenny Day is here and two new colours wait at the Rainbow Pool! Hmm actually i guess it's not a dolphin... probably a sailfish nose then! Can be a Flying Fish? Love the detailing in the fins. Do not love the beak. :o A new maraquan pet! I'm kinda surprised, I actually really like the look of the Maraquan. 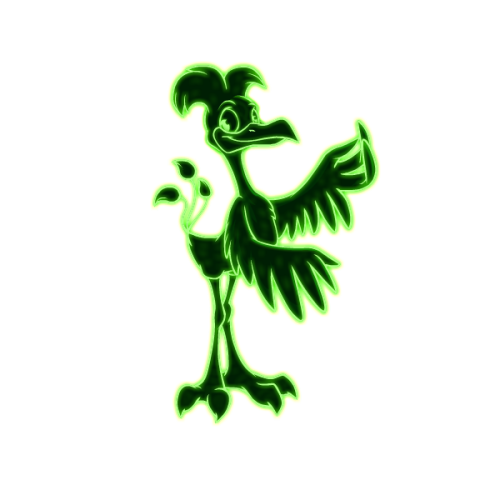 Who on Neopia thought leaving the beak was a good idea? Did the artist even look at other Maraquan pets? I'm surprised that the Mara pets are forced to have the same pose as the normal pets, but they can't wear normal clothes. Maury the Eel: Have you heard? I’ve got a new place in Neopia! 1jediboy: I like the design! I think he beak kinda goes well with it. It reminds me of Maury the Mauray Eel from Splash & Bubbles. Can we speak of how digital and matrix-like dimensional looks though? I love it. The Maraquan Lenny is awesome!!! Hands down one of my favorite Maraquan Neopets! I love the mara Lenny -- though the pose does look slightly like it is showing contestants what they can win on a game show. I love the Maraquan, though Iagree the beak should look more swordfish-like. The dimensional has a nice color, I like how dark the body looks with that neon green outline. 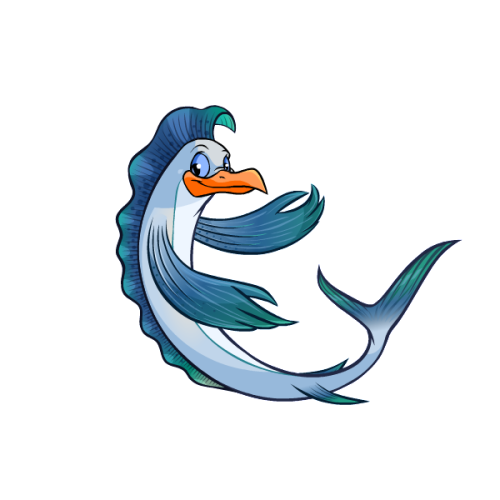 i get that the beak is odd but if you take the beak away and replace it with the proper face of w/e fish it's meant to replicate (if at all) i think most ppl would be hard pressed to pick out what neopet it was then. don't you think? i think if anything they should re-color the beak. the orange is really off putting. The Maraquan Lenny startled me at first, but I kinda like it now? I agree with everyone that the beak should be modified a little or at least changed to a different color (Darker blue, maybe?) but it's pretty okay! @1jediboy PINKY PIE'S HAIR oh my god!!! I can't forget that now! I can't help it, when I first looked at the Maraquan version the first thing I thought of was Charlie the Tuna. Nah, the beak is fine as is. Compare it with the MQ Bruce, which has a beak just the same colour. Or the Pteri. It's a means of recognising the base features of the pet species. And is a lot better than the abomination that the MQ Poogle ended up as. Off topic but anyone has succeeded in unfreezing their frozen-for-protection accounts? I have been trying to unfreeze my main and side accounts for half a year. Support responded me one time to ask for more information for verification. I thought that it would be fast since I had all the NC purchase records, as well as lot of other information. Support went silent after that. It is very frustrating because I want to get back to Neopets, but I do not want to rebuild everything. @stormmonarch: You've been using the new ticketing system, correct? In case you originally filed a ticket before May 2018, you'll need to start over as that ticket was purged. There are also sometimes boards posted on the Help chat where you can post your ticket number and occasionally TNT support will go through there and expedite some tickets. I actually really like the Maraquan Lenny... I just wish it had a more unique pose like the other pets. I don't like how it is static to the basic Lenny pose. Hi Dave. Thank you for your kind reply. I actually sent an email to support at neopet dot com. I am unsure what is the new support system. Do I need to create an account to use it? @stormmonarch: nope, that support@neopets.com address is the new ticketing system. You just send an email now instead of filling out a form. Like I recommended above, bring your ticket number to the Neoboards and look for a support ticket help chat. There are 41 comments above. Why not post yours?